You know that saying “there’s an app for that”? Well, in a marvel of modern technology, there’s now an app that will make ham suddenly appear in front of you. OK, fine, so ham won’t really just magically show up on your dinner table — but you could be one step closer to a blissful ham-filled existence when you download the new HoneyBaked Ham app. The real deal here? When you download the app and set up an account, you’ll get a free Ham Classic sandwich. All you have to do to start reaping the savory rewards is download the free My HoneyBaked Ham app on your iPhone or Android device and sign up for a new account. Then, simply open your app, and tap the “My Rewards and Offers” tab to redeem your sandwich offer in-store. You’ll earn one point for every dollar you spend. Just enter your phone number when you order online, or have the cashier scan the bar code on your app at checkout. For every 10 points you earn, you get $1 in rewards. Once you hit 50 points, you can start redeeming them. The app also throws in extra coupons once in a while, like $5 off a turkey breast meal. You can also select and save your preferred store in the app or search for nearby stores wherever you go, meaning a last-minute dinner option is always just a few clicks away. You’ll even earn points on gift orders, so you can be the hero while still collecting points to use on yourself later. 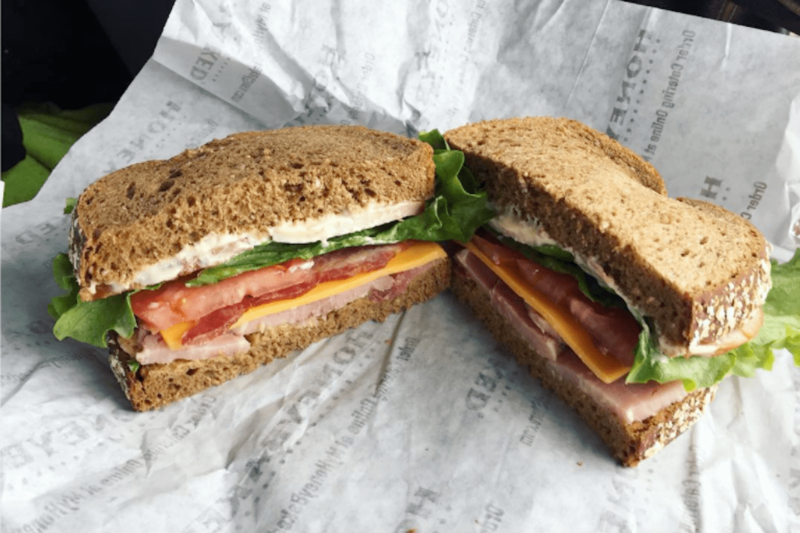 A free sandwich, easy dinner options and reward points for more free food? Your Turn: What’s your favorite thing to order at HoneyBaked Ham?